We're entering the season of plaid scarves, warm blankets and hot coffee. 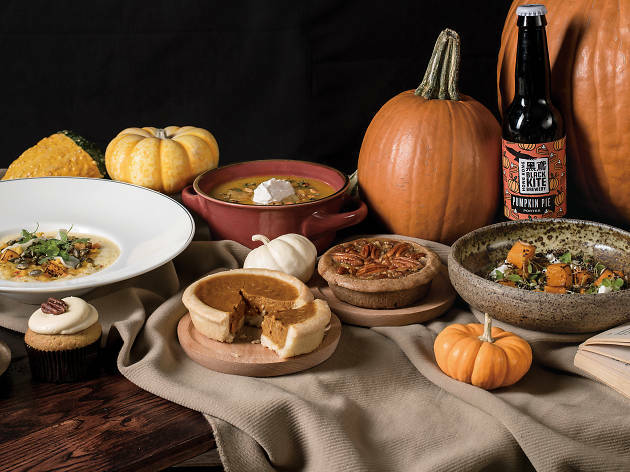 If there's one ingredient that epitomises the autumn months, it's the sweet flavors of pumpkin. 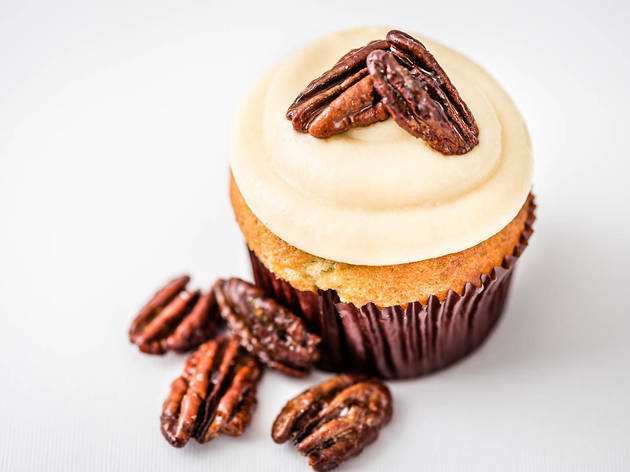 Here are our picks of the restaurants, bakeries and shops around town making use of this versatile ingredient at this time of year. 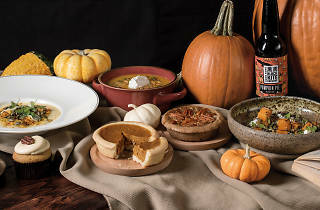 What’s a list of pumpkin dishes without a classic pumpkin pie? With a wheat flour crust cradling a creamy pumpkin filling and infused with cinnamon and ginger, it’s no surprise this old fashioned staple from Ali Oli Bakery tastes like heaven. The pecan pie here, another cosy favourite, is an equally tasty contender. 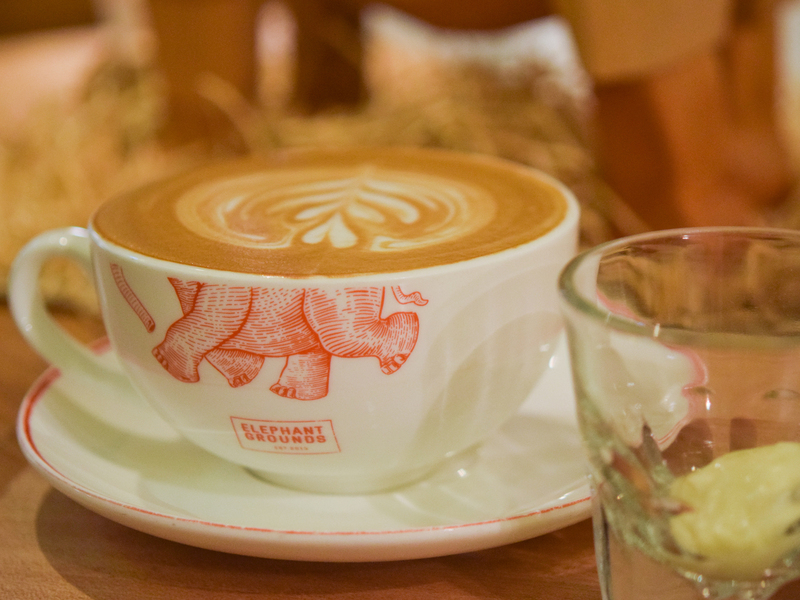 Known as the queen of fall beverages in the US, the pumpkin spice latte is finally coming to Hong Kong thanks to artisanal coffee purveyor Elephant Grounds. It’s a must-try drink that combines a full-bodied, aromatic espresso with steamed milk, almond cream, and pumpkin powder, as well as notes of cinnamon and nutmeg. 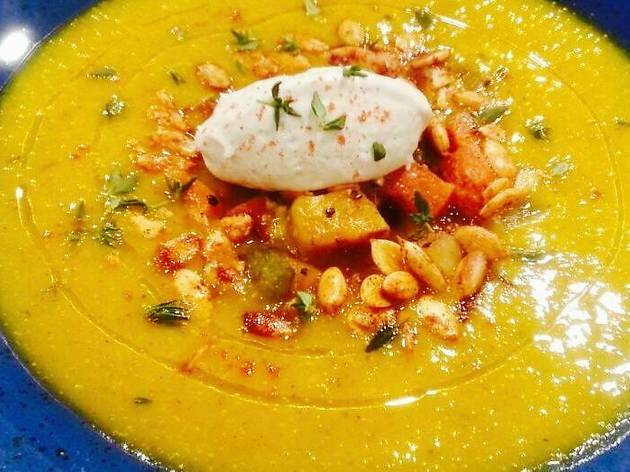 There’s no end-of-year staple quite like a hot bowl of pumpkin soup. 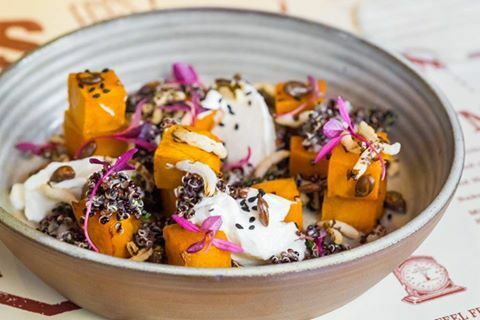 Tallore, a Wan Chai-based eatery, serves an inspired twist on this nourishing classic, containing maple-roasted veggies, toasted pumpkin seeds and a spiced crème fraiche. There’s nothing you’ll crave more as the temperature drops. 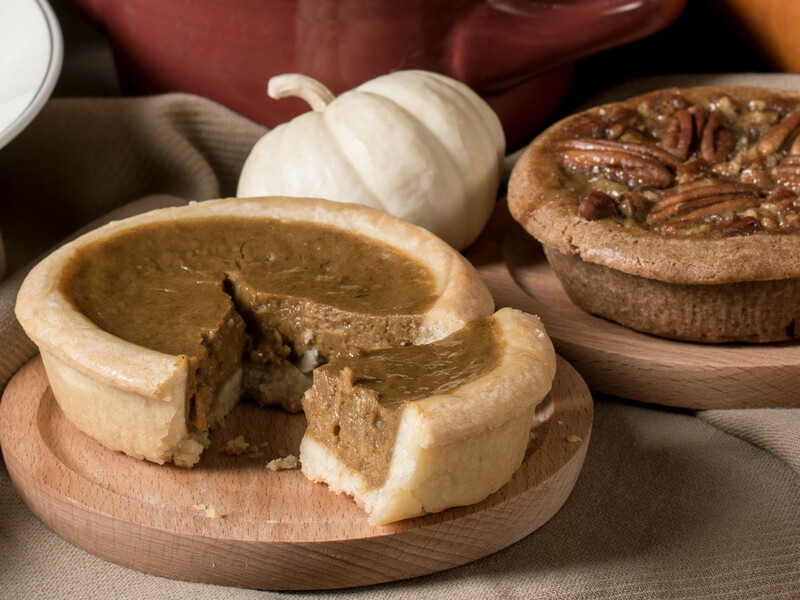 Local pâtisserie Sift Desserts is offering these moist and subtly sweet treats for passionate pumpkinheads. The seasonal creations are made from fresh pumpkin and topped with maple cream cheese frosting and caramelised pecan nuts. 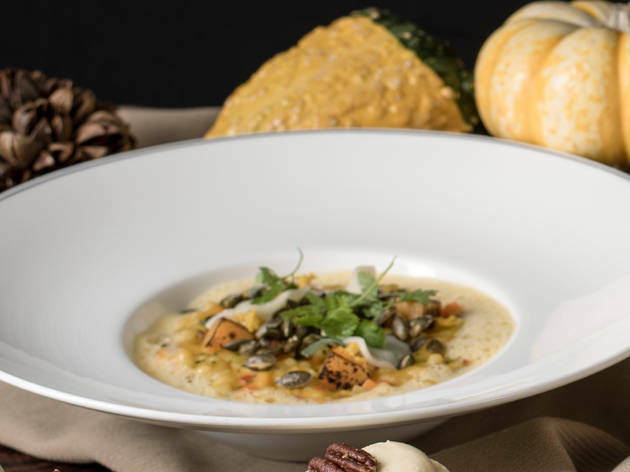 The nutty texture of barley, used instead of arborio rice, perfectly complements the pumpkin purée in this buttery dish from Café Gray Deluxe. It’s topped with cubes of roasted pumpkin, sage, chilli pecorino cheese and just a touch of orange zest for freshness. A rustic yet inventive delight for gourmands. Whipped up by chef Aaron Gillespie at 22 Ships, this seasonal snack is loaded with nutrition. 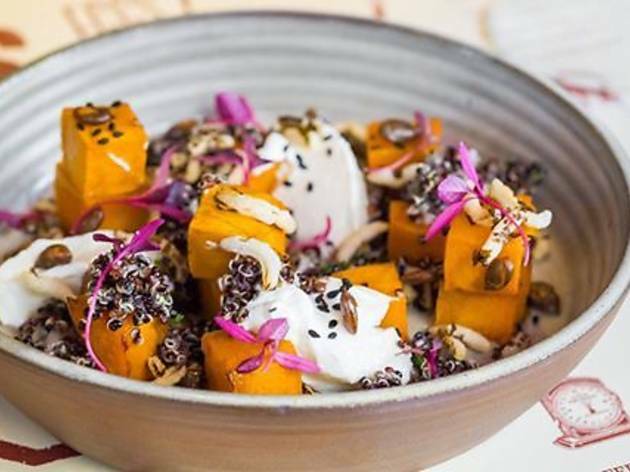 A combination of roasted pumpkin and protein-packed yoghurt, sprinkled with wild rice, pumpkin seeds and quinoa, it’s a light and tasty option that isn’t packed with carbs. 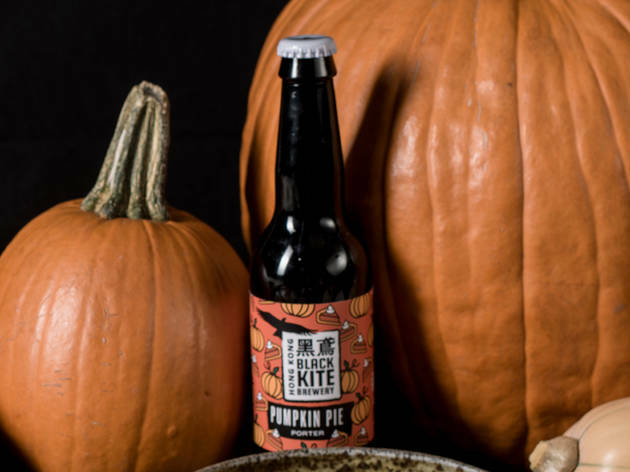 A limited edition seasonal brew from Black Kite Brewery, one of the most exciting players in Hong Kong’s fledgling craft scene. Dark and smooth, this zingy porter is spiced with hints of cinnamon, ginger and nutmeg. Find it in bottle shops citywide, including Kennedy Town's Tramline Liquor Co.